Sunny Queen Meal Solutions, the wholesale supplier arm of Sunny Queen which sells egg based meals and snacks, is now offering gluten-free options. The options include bubble and squeak, fritters, omelettes and smoked ham and cheddar bites. According to Sunny Queen Meal Solutions, one in 60 women in Australia and one in 80 men are affected by Coeliac’s Disease so it is hoping to help restaurants and cafes cater to this population. Managing Director of Sunny Queen Meal Solutions, John O’Hara, said it is important for hospitality and catering businesses to serve food which considers different dietary requirements. “From omelettes and poached eggs for breakfast to fritters and egg bakes for dinner, eggs are an incredibly versatile meal option that will satisfy both coeliac sufferers and those without dietary restrictions,” O’Hara said. 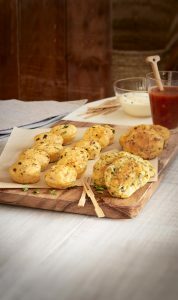 Sunny Queen Meal Solutions say its products are prepared within strict health and safety guidelines to ensure its gluten free options are safe for those with Coeliac’s Disease. Sunny Queen Meal Solutions gluten-free options are available now through its distributors BIDVest, PFD Food Services, Country Wide and NAFDA.